Prepared and deployed Windows 10 using refreshed System Center Configuration Manager (SCCM). Our customers have solicited our help in refreshing their SCCM technology, which morphed to a rapid release cycle. Customer goals seemed split between SCCM feature/function as well as preparation of Windows 10 desktop images (task sequences). Amazingly, we were part of over 20,000 desktop moves to Windows 10 in 2017! Unlocked value in Office 365 investments. Our clients had typically made purchases of Office 365 E3 and found initial value in simply moving email workloads to Exchange Online. In 2017, they wanted more. Our webinars and blogs about Untapped Features of O365 demonstrated that there is high value in other areas including: Skype for Business, OneDrive for Business, SharePoint and others. Deployed turnkey solutions to streamline operations such as HRPortal using SharePoint Online. Customers perk up when you can improve inefficient processes. Combine that with underutilized but owned SharePoint licensing (from O365 investment above), they jumped at the chance to see HRPortal. After all, organizations commonly share a need to provide employees an organizational calendar, forms, announcements while also streamlining employee onboarding, evaluations, and time-off requests. Monitored their key systems for security breaches. It was time to stop and re-focus efforts on existing systems before introducing new technology. Breaches were happening everywhere. 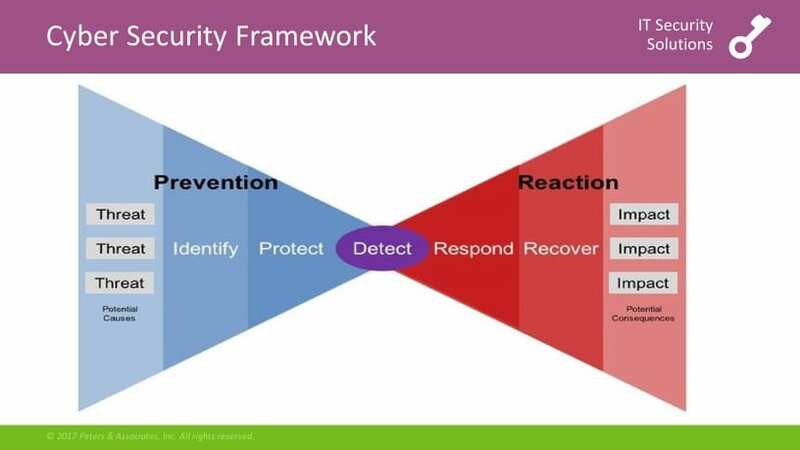 Systems ranged from ALARM (SIEM-as-a-Service), enhanced endpoint protection, and perimeter monitoring. None of this would have been possible without enhancements via machine learning and UEBA (User and Entity Behavior Analytics). 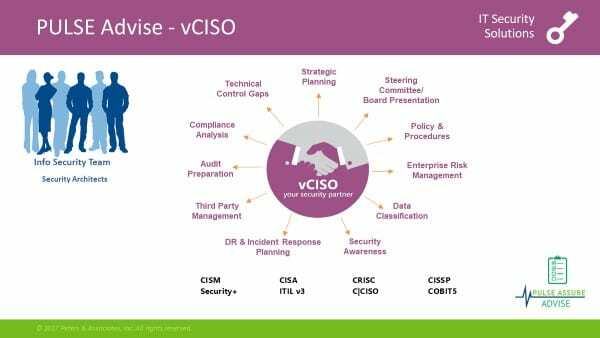 Unfolded strategic security initiatives and overcame compliance challenges through our vCISO services. Company supply chains are increasingly asking for security assurances in the form of questionnaires, SOC or other attestations. Keeping up requires the expertise of seasoned professionals accustomed to crossroads of compliance and people/process/technology controls. Give me a shout or hit info@peters.com and we’ll see what 2018 has in store for you and your organization.